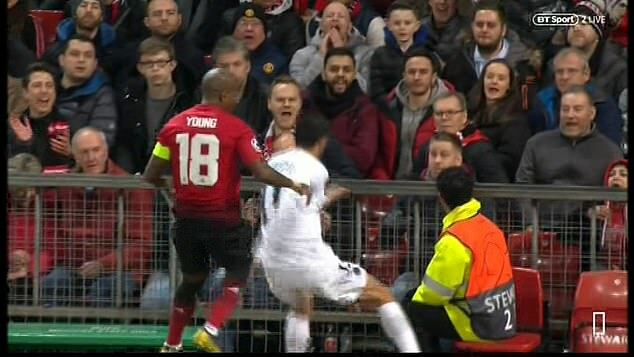 Manchester United captain Ashley Young escaped a second yellow card after sending Paris Saint-Germain‘s Angel Di Maria clattering into the hoardings at Old Trafford. Young had already been booked when he sprinted across to the left before making contact with the PSG winger, which sent him to the ground and off the pitch. Di Maria stayed down in front of the barriers for a couple of minutes before getting back to his feet.